Very good except the bed was very hard and there was no shelf in the bathroom to put toiletries on therefore had to use the floor. It was a disaster. We upgraded room and went to use it as a spa hotel. The room was spartan, poorly decorated and the spa in poor condition with steam room out of action. A light bulb cpould not be replaced beacause it was out of hours for maintenance at the weekend. No housekeeping on duty to answer simple call for milk and sugar. The luxury dressing gown was in tatters. Final straw was the terrible squeeky bed. We gave up and left sacrificing a £230 booking for the second night. It is a nice place to stay with the clean room, comfort bed . 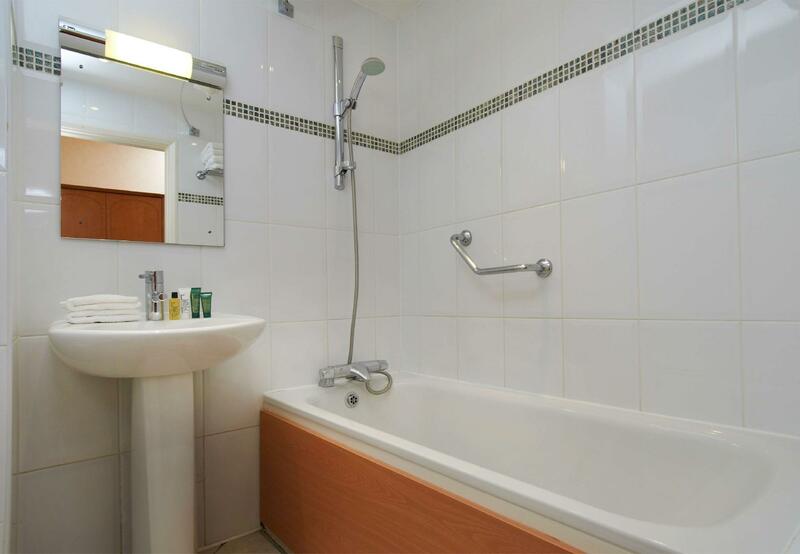 It is easily access to all of the public transport,train near Littlehampton train station even you would like to take express train to London and access to Paris Nord station. We booked this using our Agoda reward points...when we eventually found a hotel we could redeem against. Very pleased with our choice, good hotel situated in lovely grounds. We ate the the Black Rabbit pub, a short drive away which was great. Used Spa and Pool facilites in morning, Indoor and Outdoor poll looked great, but a bit messy (grime and plasters in Indoor Pool and Sauna / Steam room) Great breakfast- looked like it could just do with a good clean. Globally a good hotel but the rooms were not the ones showed on the Agoda website, they were narrow and not so beautiful, they did not reflect the reality! Nevertheless the service, restaurant (very expensive but lovely), bar, lobby and breakfast were excellent. The rooms are very small and not up to the usual standard you would expect from a Hilton - far too hot, plenty of cobwebs and could do with an upgrade. There was a long wait for breakfast despite many tables being empty and unset, the staff didn't really seem able to cope at busy times. Great location, very easy to find and there is plenty of parking and for the price a bargain really. gym was well equipped, staff at reception friendly, good food in restaurant. however, cost of drinks is very high (c5-6 a drink) and the pool area is a bit run down and badly lit. Comfortable place to stay, good for exploring the south coast. Staff very friendly and helpful. Good feeling of space. Had a great value for money deal on standard Hilton rates through Agoda, though breakfast wasn't included. Made good use of the indoor pool and gym. Thought drinks were expensive and bed a bit hard for my personal taste. Kymberley Large was particularly helpful and efficient when making our reservation. We originally booked into the Hilton upon seeing what we thought was a good deal. On arrival we had saved £20 what a normal customer would pay without the Agoda discount. This normal price was what a friend also staying there had paid. Upon being chapperoned to our room we were a bit taken aback as we looked at the nicotine stained walls and tasted the memories of a thousand former cigarettes as we entered. The room was very basic and a long way from reception. When my friend had arrived he had been uprgaded to a suite. This room was amazing! After pointing out then fact that we would rather be moved from the smell of cigarettes we were happy to find the staff were extremely understanding and accomodating. We were moved to a room which had more space and a much nicer smell. This hotel is a very nice stay. Nice beds, great staff and beautiful location. Breakfast was excellent and included to our suprise. One piece of advice, stay away from the smoking basic rooms, not so nice. lovely stay at the hiltons avisford park arundel hotel. the easiest check in and check out we've ever had. breakfast was excellent, with so much choice and all fresh ingredients. thank you to all staff at the hiltons hotel. we will definitely come back. Compared with hotels round the world, this performed fairly disappointingly. Room wasn't ready at 3.45 when we arrived. The room was unbearably hot, with no fridge or air-con. Sad that the British just can't do service in these big hotels!